Please read our terms and conditions carefully. We recommend that you print the terms out for reference in the future. 1.1 By placing an order with salamanderstoves.com, the buyer agrees to be bound by these terms. If you do not accept these terms, you may not use this site or access or display any of the information made available to you at this site. 1.2 salamanderstoves.com shall sell and the buyer shall purchase the products in accordance with any written, electronic or verbal order of the buyer which is accepted by salamanderstoves.com, subject in any case to these conditions, which shall govern the contract to the exclusion of any other terms and conditions subject to which any such quotation is accepted or purported to be accepted, or any such order is made or is purported to be made, by the buyer. 1.3 Any variation of these conditions (including any special terms and conditions agreed between the parties) shall be inapplicable unless agreed in writing by salamanderstoves.com, acting by its Managing Director or some other person authorised in writing by him. 1.5 If any provision of these conditions is adjudged invalid or unenforcable in whole or in part the validity of the other provisions of these conditions and the remainder of those provisions in question shall not be affected. 2.1 All sizes and measurements are approximate but we do try to make sure that they are as accurate as possible. On the rare occasion that there is an error, we will advise you about it as soon as possible. 2.2 Pictures are for illustrative purpose only, and may not exactly match the product itself. 2.3 Colours may vary slightly to those illustrated. 2.4 Sometimes our product specifications may change, in which case we will do our best to offer you a substitute of the same or better quality at the same price. 3.1 Prices are correct at time of publicaton. 3.2 All prices include VAT at the standard rate (20%). 3.3 salamanderstoves.com reserve the right to change any advertised prices at any time. 3.4 Errors and omissions are excepted. 3.5 All prices are in Great Britain Pounds Sterling. 3.7 We do not offer a faciltiy to refund VAT for items that are exported outside of the UK. 4.1 A binding contract is formed between you and salamanderstoves.com when you receive confirmation from us by e-mail, telephone or other agreed means that your order has been accepted. 4.2 Other than where the Buyer acts as a Consumer salamanderstoves.com shall be deemed to have accepted the Products 7 working days of delivery to the Buyer. 4.3 After acceptance the Buyer shall not be entitled to reject Products which are not in accordance with the contract. 4.4 Where the Buyer accepted any Products then salamanderstoves.com shall have no liability whatever to the Buyer in respect of those Products. 4.5 To order goods you must be least 18 years of age. 5.1 The Buyer is solely responsible for insuring that the Products are suitable and fit for the purpose. 5.2 Salamander stoves Ltd. reserves the right to refuse the supply of goods at its discretion. 6.1 All orders must be paid for in full at the time they are placed. 6.2 salamanderstoves.com accept on-line payment with all major credit and debit cards, including Visa, Mastercard, Delta, Switch, Maestro. No charge is made to a consumer for credit card payments. 6.3 If you wish to pay by personal cheque or bank or building society cheque, please make payable to Salamander stoves Ltd.. Please write your home address on the reverse of the cheque. The order will be processed after the cheque has cleared. 7.1 All goods are offered subject to availability. Were goods are found to be unavailable or discontinued, salamanderstoves.com will offer a similar substitute if available, subject to your agreement. 7.2 salamanderstoves.com may make any changes in the specification of the Products which do not materially affect their quality or performance required to conform with any applicable statutory requirements where the Products are supplied to salamanderstoves.com’s specification. 7.3 If a suitable substitute is not available, the transaction for that item will be void and any payment will be returned. 7.4 In the event of any product being unavailable, salamanderstoves.com shall be relieved of any liability in connection with all such contracts or orders. In no case shall the company be bound to obtain or deliver Products from any other sources than those contemplated in the order. 7.5 salamanderstoves.com will not be held responsible for any costs incurred due to items being delayed or unavailable. 8.1 Neither party shall be liable for any default due to any act of God, war, strikes, lock outs, accidents, war, fire, breakdown of plant or machinery or shortage or unavailability of raw materials from a natural source of supply. 8.2 salamanderstoves.com shall be entitled to delay or cancel delivery or to reduce the amount delivered if it is prevented from or hindered in or delayed in manufacturing, obtaining or delivering the products by normal routes or means of delivery through circumstances beyond its control. 9.1 Under the Distance Selling Regulations you have a right to cancel your order for any item purchased on this website at any time before the goods are despatched, or within 7 days of receiving your goods and for a full refund excluding cost of return postage providing you take reasonable care of the goods whilst they are in your possesion. This does not affect your statutory rights as a consumer. 9.2 If you wish to cancel your order at any time later than the 7 days following receipt of your goods there will be a restocking charge of 10%. You are welcome to return any items using your own courier or alternatively we can offer a collection and return service. The cost for return transport of smaller items will be quoted on request. The cost for return transport of a stove is £70. The full original payment amount less restocking charge and any transport costs will be refunded to you account. 9.3 We reserve the right to refuse the return of any items after 28 days following delivery. 9.4 We will refund your payment within 14 days of the goods being returned. 9.5 If you would like to cancel your order, please email or write to us at the address provided. 10.1 salamanderstoves.com endeavour to deliver all stock items within 14 working days from receipt of your order. Non stock items are currently taking longer than expected (for more information please see our ‘Deliveries’ page. All deliveries are subject to payment authorisation. 10.2 Delivery will be made by an agent of salamanderstoves.com between 9am and 6.00pm, Monday to Friday. On larger items our nominated courier company will contact you to arrange a convenient delivery day. Once confirmed, please ensure someone is at the delivery address on the nominated day. If our courier is unable to obtain a signature you order will not be left and you may incur and additional charge to redeliver your order. 10.3 salamanderstoves.com shall use reasonable endeavours to meet any date agreed for delivery, but will not be liable for any delay in delivery howsoever caused or any resulting loses incurred due to failure to deliver. 10.4 All goods must be signed for by an adult aged 18 years or over on delivery. When goods are signed for they are signed as received in good condition unless otherwise stated. 10.5 Delivery will be made to your door providing it is at street level. Placement of your products is at the discretion of the delivery driver. Deliveries of stoves over gravelled or uneven drives are not possible, therefore please arrange an alternative delivery location. Please be aware that larger vehicles requiring wider access will be used for stove deliveries to ensure a tail-lift is available for offloading. 10.6 Free delivery applies only to Mainland UK. Occasionally Scottish Highland areas may be subject to a delivery charge at which point you will have the opportunity to cancel your order without charge. 11.1 Please examine all goods on delivery in case any damage has occured in transit. The driver should be notified immediately of any problems and the ticket should be signed accordingly. 11.2 We can not guarantee to replace or repair items which have been signed for in good condition or ‘unchecked’ and are later found to be damaged. Any costs incurred in rectifying a damaged item that has been signed for in good condition may be passed onto the customer. This does not affect your statutory rights. 11.3 salamanderstoves.com will not accept any liability for any Products that have been repaired before the we have been given the opportunity to inspect them or to give authority for repair work to be carried out or in cases where non Company components have been used. 11.4 All items must be returned in their original packaging to prevent further damage. 11.5 All claims must be supported by photographic evidence and a written description of the issue, either via email or standard post. 11.6 If goods have been delivered in a damaged state and we feel the situation can not be improved by authorising another delivery, we reserve the right to refund you in full for your order and cancel the order. 12.1 Risk of damage to or loss of the Products shall pass to the Buyer upon delivery. 12.2 Not withstanding any other provision herein title in the Products shall not pass to the Buyer until salamanderstoves.com has received in cash or clear funds payment in full. 13.1 All personal details that you give us are securely stored. We do not supply or sell customers details to any outside organisation. We will endeavour to take all reasonable care, in so far as it is possible to do so, to keep all details of your order and payment secure, but, in the absence of negligence on our part we cannot be held liable for any loss you may suffer if a third party procures unauthorised access to any data you provide when accessing or ordering. 13.2 All credit and debit card details are encrypted using 128 bit encryption and sent over a secure server. They are only decrypted after they reach our computer. They are not held in clear text on any web site. 14.1 To the fullest extent permitted at law, salamanderstoves.com is providing this site and its contents on an “as is” basis and makes no (and expressly disclaims all) representations or warranties of any kind, express or implied, with respect to this web site or the information, content, prices, materials or products included in this site including, without limitation, warranties of merchantability, satisfactory quality and fitness for a particular purpose. 14.2 Except as specifically stated on this site, to the fullest extent permitted at law, neither salamanderstoves.com nor any of its affiliates, directors, employees or other representatives will be liable for damages arising out of or in connection with the use of it or the information, content, materials or products included on it. This is a comprehensive limitation of liability that applies to all damages of any kind, including (without limitation) compensatory, direct, indirect or consequential damages, loss of data, income or profit, loss of or damage to property and claims of third parties. For the avoidance of doubt, salamanderstoves.com does not limit its liability for death or personal injury to the extent only that it arises as a result of the negligence of Salamander stoves Limited its affiliates, directors, employees or other representatives. This contract is subject to the law of England and Wales. All disputes arising out of this contract shall be subject to the exclusive jurisdiction of the courts of England and Wales. No statement, description, warranty condition or recommendation contained in any catalogue, price list or advertisement or communication or made verbally by any of the Agents or Employees of salamanderstoves.com shall be construed to enlarge, vary or override in any way thereof any of these conditions. Salamander stoves Ltd. shall not be liable for any costs claims damages or expenses arising out of any tortuous act or omission or any breach of Contract or statutory duty calculated by reference to profits income or accrual or loss of such profits income production or accruals or by reference to accrual of such costs claims damages or expenses on a time basis, to the fullest extent of the law. Please do not book installers for any items until you have recieved and checked your order in full. 18.1 All goods supplied by Salamander stoves Ltd.come with a manufacturer’s warranty of at least 12 months. A number of products contain ‘consumable’ parts of which the lifetime is determined by use and are not therefore covered by the warranty. These include, but are not limited to grates, baffle plates, fire bricks and glass. 18.2 The stated warranties are on a parts only basis. We do not have service engineers on the road. 18.3 Salamander stoves Ltd. shall provide the Buyer with such information as is required to claim under the manufacturer’s warranties. In the event of a claim, the Buyer shall in the first instance contact salamanderstoves.com’s customer service department. 18.4 Salamander stoves Ltd. does not provide any warranty cover against defects in his own right. 18.5 In any event and despite anything contained in these conditions, in no circumstances shall Salamander stoves Ltd. be liable in contract, tort (including negligence or breach of statutory duties) or otherwise howsoever, and whatever the cause thereof, (i) for any increased costs or expenses (ii) for any loss of profit, business contracts, revenues or anticipated savings, or (iii) for any special indirect or consequential damage of any nature whatsoever. 18.6 5 year Warranty claims must be supported by photographic evidence and a written description of the issue, either via email or standard post. 18.7 Post installation warranty claims must also supported by identification details of the installer from the relevant regulatory body. 18.8 Colour finishes are not covered under the warranty. Initial over-firing of the stove on the first 1 to 3 fires can cause the paint not to cure or adhere to the surface properly, resulting in the paint flaking off thereafter. Salamander stoves Ltd. will only accept liability for this when the customer can demonstrate that they had 3 small fires initially to ensure successful curing and adherence of the paint finish. 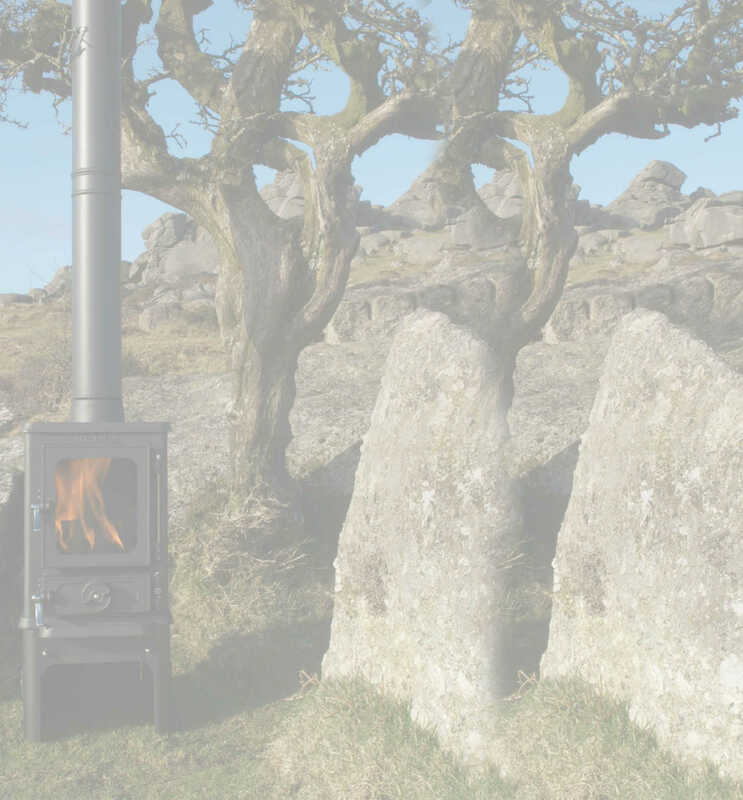 Salamander stoves Ltd. do not accept any liability for any website not under our control, which may act as a portal to our site or be connected by a link with our site or that we connect by a link to. 20.1 Neither party shall be liable for any delay or failure to perform any of its obligations if the delay or failure results from events or circumstances outside its reasonable control and the party shall be entitled to a reasonable extension of its obligations. 20.2 These terms and conditions are subject to change at any time without prior notice to you.